The Roy Williams Memorial Award is given in recognition of significant contributions to the irrigation industry. The award can be given to an individual or an organization. The award is named in honor of the co-founder and first president of the Society and was originally named the ASIC Industry Achievement Award. Any member of the society may submit nominations for this award. Possible areas of contribution include design, application, water conservation, research, academia, manufacturing, and all related fields. ASIC members and non-members are eligible. Brent has left an indelible imprint on the irrigation industry in numerous ways. His current title of Industry Development Director for the Irrigation Association has him on the front lines in the development of standards and codes that affect irrigation products and practices. An affable person by nature, Brent enjoys interacting with others and has become the respected face and voice at the negotiation table, adeptly representing the irrigation industry interests. Brent has been a regular presenter at ASIC National Conferences, sharing information with irrigation design professionals from across the country about upcoming industry codes and standards and future trends. He also serves as a perennial presenter and instructor for IA classes and helped author many of the IA study guides and other educational materials including the authoritative Irrigation 6th Addition. Brent was also the backbone of the writing team that produced the widely respected IA/ASIC Best Practices for Landscape Irrigation. Brent currently is certified as an IA Designer (CID); Water Manager (CLWM); Contractor (CIC) and Auditor (CAIS). Brian has had a multitude of achievements in the irrigation industry. His firm, Irrigation Consulting, Inc., was founded in 1992—at the time, one of few independent irrigation firms located outside California. He grew the firm into one of the leading national irrigation consulting firms, both in size and scope of work performed. From the start, Brian strove to push the industry on issues of water conservation and management. And he has been a relentless advocate for the role of independent irrigation consultant. 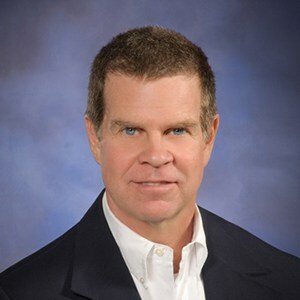 Brian has been a prolific activist in the industry speaking and presenting at numerous industry events including ASIC National and Regional Conferences, Irrigation Association (IA) Show & Education Conference, GCSAA Golf Industry Show, WaterSmart Conference plus many Regional Associations. He has also shared his knowledge as an instructor at University of Massachusetts, Rutgers University, and Ohio State University. 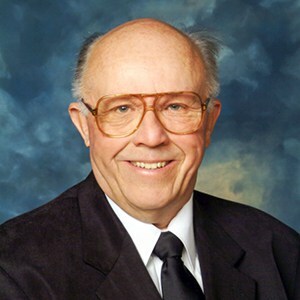 He served on countless committees, most notably as current Chairman of Smart Water Application Technologies (SWAT), Past Chairman of the IA Education Foundation, Past Chairman of the IA Certification Board of Governors, and currently serving on the American Society of Agricultural and Biological Engineers (ASABE) Landscape Irrigation Standards Committee. Along the way, he found time to serve as President of both ASIC and IA. Brian is the recipient of many past Awards and Honors as well. He was named an ASIC Fellow in 2014—an honor recognizing exceptional career work that has advanced the art, science and professionalism of irrigation consulting and his countless volunteer hours given on behalf of the irrigation industry. In 2015, he was awarded the prestigious IA Industry Achievement Award and was the 2009 EPA WaterSense Partner of the year. 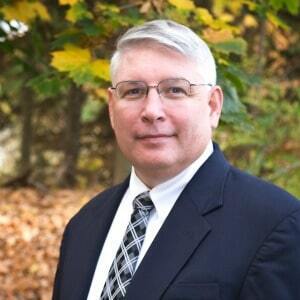 Stephen is a premier innovator, educator and advocate for the irrigation industry. His work has made him a force for the advancement of the irrigation profession and cutting-edge water resource management. Smith has 40 years of experience in irrigation engineering and water resources, beginning with the launch Aqua Engineering, Inc. in 1975. Prior to 1975, his work on the Colorado State University research faculty included irrigation research and evaluation of irrigation technologies. 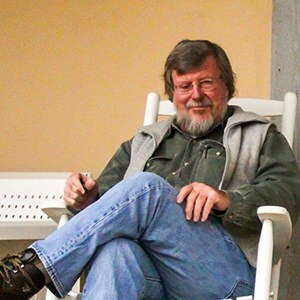 He holds three degrees in Agricultural Engineering from Colorado State University and New Mexico State University. He has been an active professional member and past national president of ASIC, and is a Society Fellow. Smith also has served on the Irrigation Association board of directors and as president in 2009. Jim has dedicated the last 25 years of his career teaching the importance of – and improving the practice of – professional irrigation. His guidance in critical water conservation principles represents in part the future of irrigation. Jim was introduced to irrigation in Dallas, TX, working for a small landscape and irrigation company where he learned to design and install irrigation systems. Armed with a BS in Horticulture from Louisiana State University and his Texas Irrigator’s License, he started a local irrigation contracting company in Texas. He later earned his Masters in Landscape Architecture from LSU. Laiche joined The Toro Company in 1988 calling on contractors, consultants, distributors and golf courses. As regional sales manager, Laiche organized numerous Toro University training events and has taught hundreds of irrigation workshops at various national universities. He also has served Toro as a central control specialist, working with several large institutions to reduce irrigation water use, including Disney, University of Notre Dame, Baylor University, Central Park, General Mills, Yum Brands and Darden Restaurants. 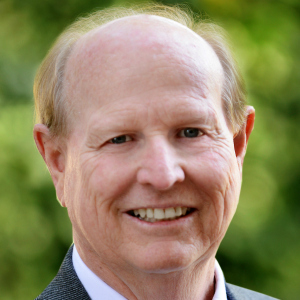 Davis, an ASIC Fellow who opened his doors for business in 1985 and still consults today, has been a force for the irrigation industry, providing comprehensive irrigation consulting services over the decades to the golf course and recreation sports industry, among others. He is an accomplished designer and educator, and holds a State of California lifetime teaching credential for mathematics. Generous with both his time and expertise, Davis has been instrumental in training generations of irrigation practitioners through seminars, workshops and handbooks. Over the decades, Davis’ personal mission has been in developing state-of-the-art, practical solutions to everyday irrigation problems. His zeal has profoundly influenced golf course superintendents, turfgrass managers and water managers, as well as irrigation contractors and technicians. His expertise in developing environmentally sensitive sites embodies the mission of the Professional Irrigation Consultant. His high visibility in the golf irrigation industry certainly increased the awareness of Professional Irrigation Consulting and ASIC. Moreover, he’s taught others to think critically about their irrigation needs and the importance of quality, long-term responsible design solutions.